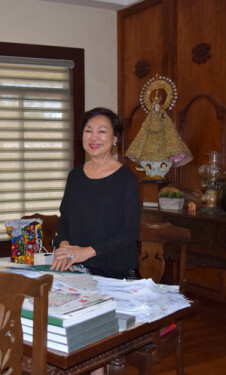 The devastation caused by Super Typhoon Haiyan in 2013 shook the lives of millions of Filipinos, including Sister Vilma Orejola, F.L.P, director of faith formation at Sacred Heart of Jesus parish in Cambria Heights. 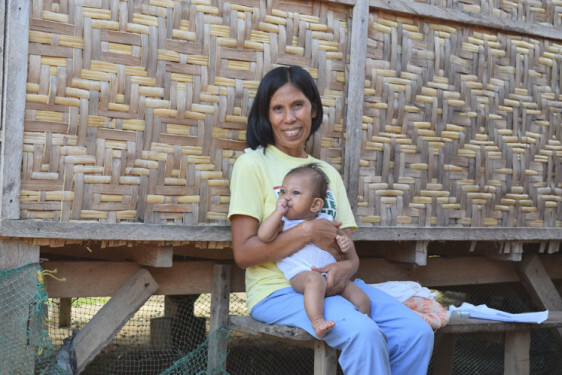 She lost half of her family when the typhoon hit her hometown. She also felt the loss of over 100 people in her barangay, whom she thought of as family because they grew up together. Her brother lived in another village with his two youngest children. As the storm surge flooded villages and people swam to trees and poles, they prayed for God’s mercy. She was also happy that her sister, who was in Cebu, was able to find her mother and sister-in-law after searching for them for days. 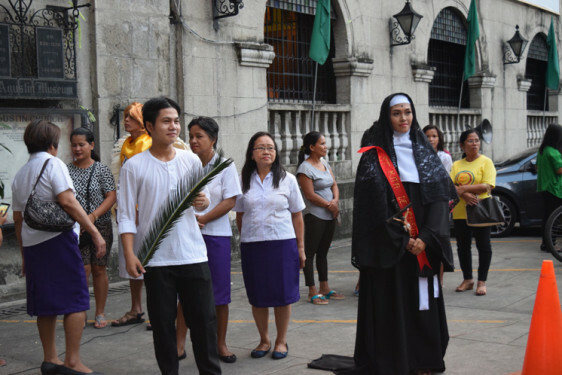 In January, Sister Vilma and another religious went to the Philippines to help with the relief efforts of their congregation, the Franciscans of Our Lady of the Poor. The congregation provided foam mats for people to sleep on, food, clothing and basic items. Overall, the typhoon took 6,300 lives and displaced close to 920,000 Filipinos and caused widespread destruction. She was grateful to people in Brooklyn and New Jersey who donated money to help Filipino communities recover. She’s seen the rebuilding process and is still in awe at how faith and unity helped people move forward. “As I was listening to their stories, I was in tears. 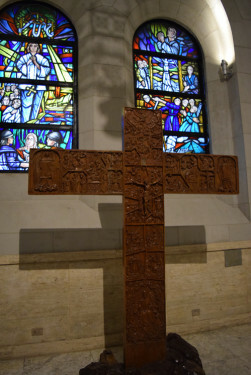 I was moved by their faith. I was listening to many miracles,” she said. 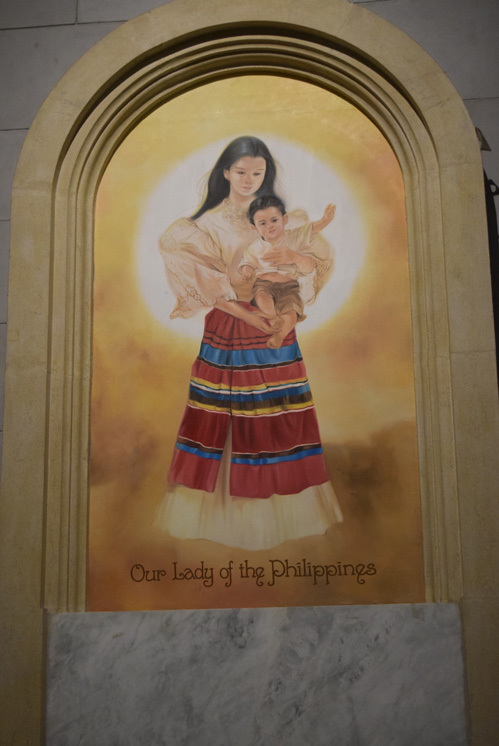 This spoke of the faith of her country, where around 80 percent of Filipinos are Catholic. Even as they mourned their losses, they would look to the future with hopeful faith. 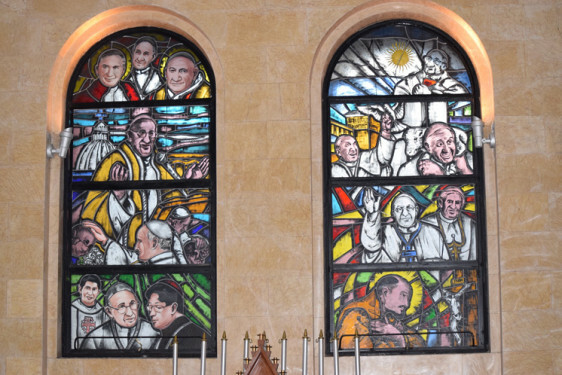 “I did not hear people say they were angry at God. Most of them were grateful that they were still alive,” she said. And faith continues being a driving force even when people are still struggling. In many cases – especially the rural areas that were impoverished to begin with – people were left with nothing but the clothes on their backs. 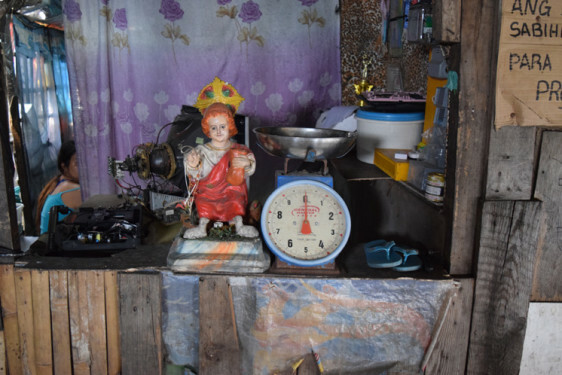 In Tacloban, Emelinda Condeza came to a Catholic Relief Services’ temporary settlement with her daughters and sons after their house had been lost. 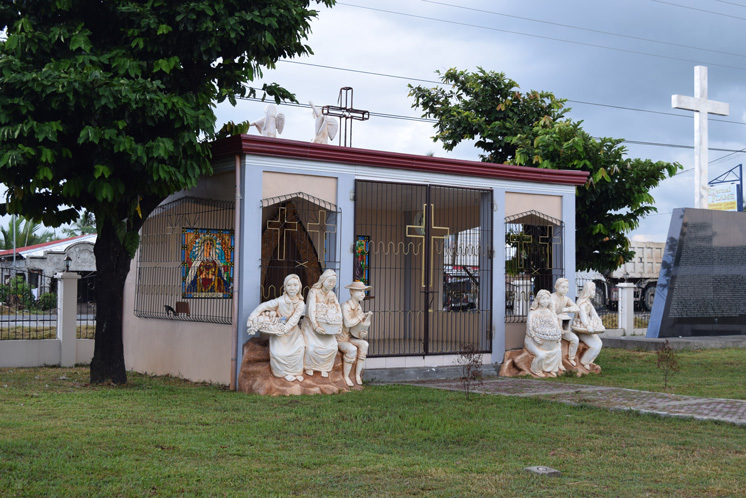 Memorial site built on a mass graves site in front of the San Joaquin Church in Palo, Leyte. 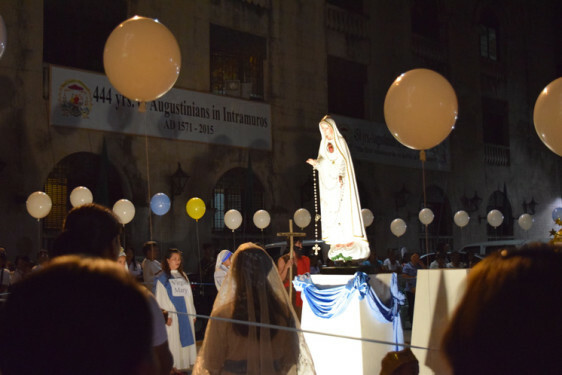 Filipinos’ spirituality – which features constant prayer – impregnated the way people reacted right after Haiyan, said Father Al Cris Badana. 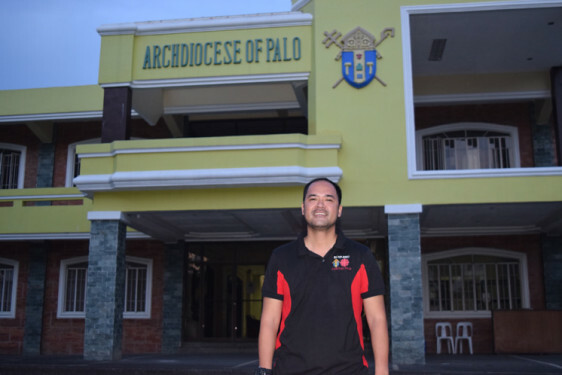 He is in charge of the Relief and Rehabilitation Unit in the Archdiocese of Palo (RRU) that provided recovery assistance to vulnerable communities affected by Haiyan. 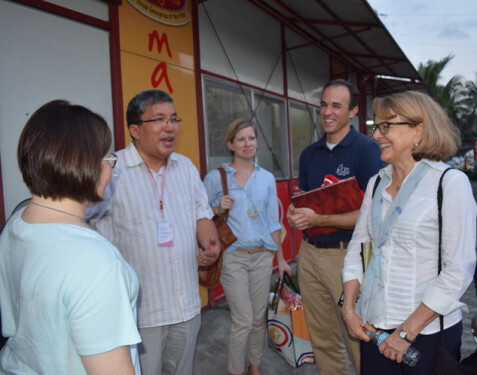 RRU – which is now Caritas Palo – was created after Haiyan because even though the Church had responded to disasters before, the magnitude of the destruction was unprecedented. This includes rebuilding schools and offices as evacuation centers that are able to be a shelter for dozens of evacuees. Training and raising awareness is very important, Father Badana said. He added that after Haiyan (also known as Yolanda), the perception about climate change shifted with people becoming more conscious about the need to preserve the Earth. 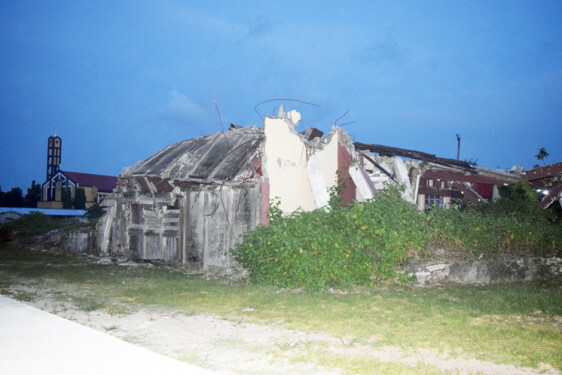 “Already at this time they see the effects” of stronger natural disasters, he said. The tragic experience of Haiyan taught people to be more prepared and when another strong typhoon hit the central Philippines in December of 2014, one million people in the coast promptly evacuated to higher ground, which contributed to a lower death toll. 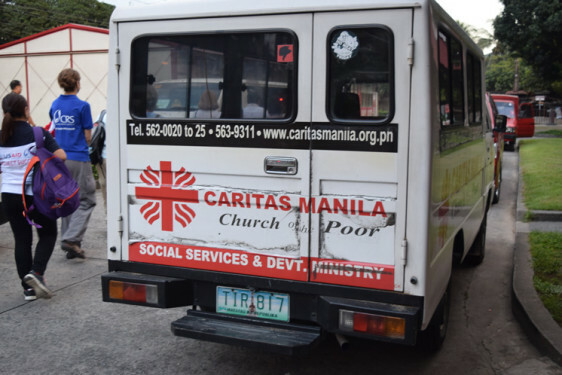 Now, the local Church continues serving the survivors and the poor – in many cases with the support of Catholic Relief Services, the official international humanitarian agency of the Catholic community in the U.S.
“What motivates us is faith and the fruit of that is charity,” said Father Anton Pascual, executive director of Caritas Manila. 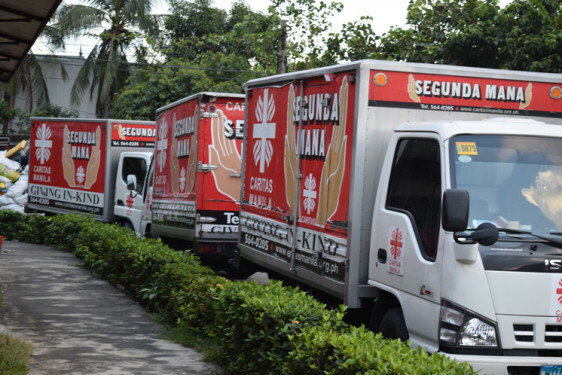 The organization serves the poor in Manila City, which has nearly 12 million dwellers. 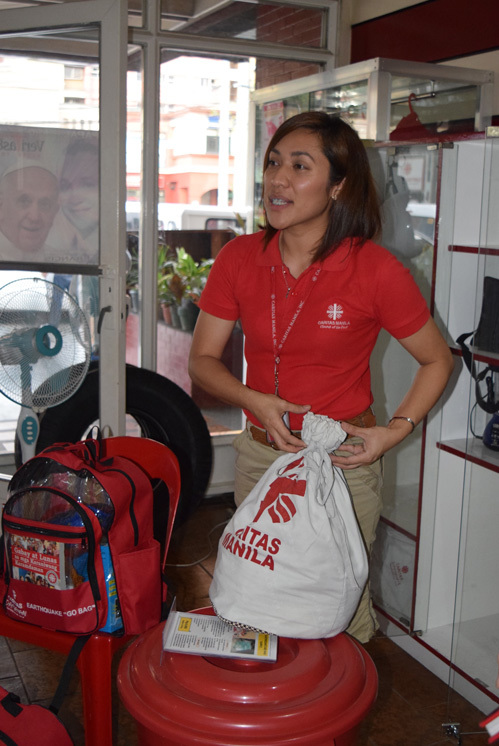 But because it is the country’s largest Caritas agency, Caritas Manila leaders and volunteers also empower those who are affected by natural disasters. 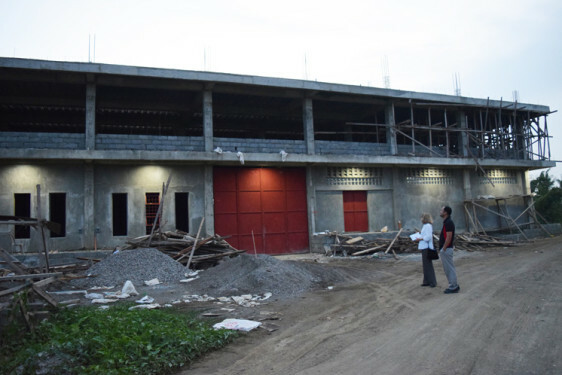 One of their initiatives, thanks to donations and community support, is rebuilding chapels in Palo, explained Gilda Avedillo, program officer. 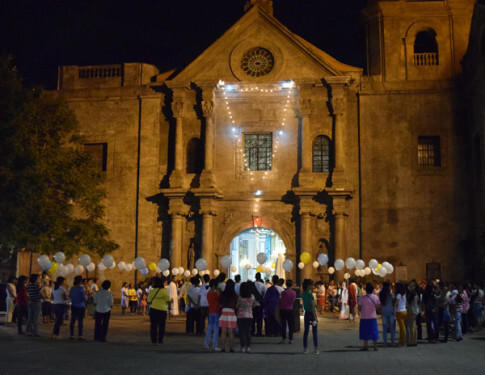 “Having the chapel again shows them that even though the typhoon is very devastating in their area, there is still a future for them and the church is actually a refuge for them,” she said. 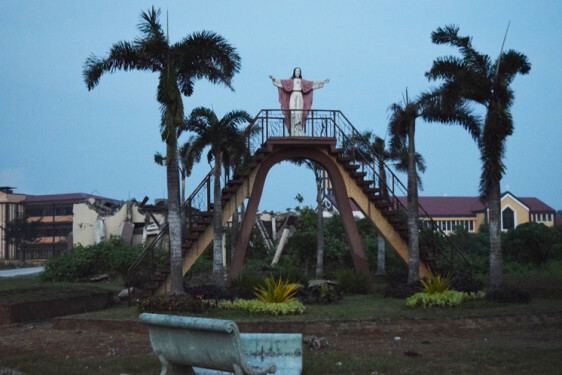 Behind a statue of Jesus is one of the buildings of the Archdiocese of Palo collapsed after Typhoon Haiyan hit the area in 2013. Father Al Cris Badana, director of Relief and Rehabilitation Program, Archdiocese of Palo in Leyte. 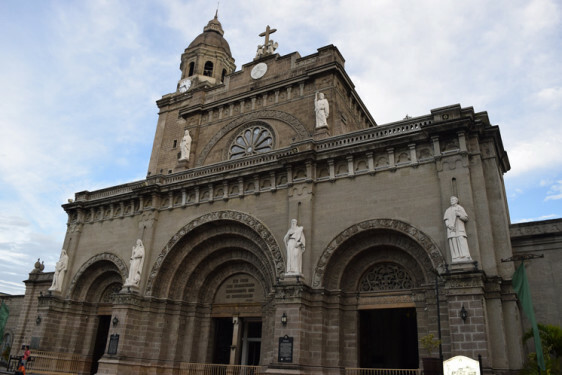 Metropolitan Cathedral of our Lord's Transfiguration also known as Palo Cathedral. 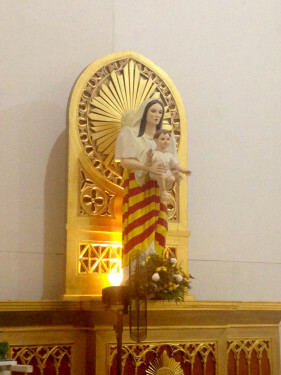 Emelinda Condeza with grandson in front of one of Catholic Relief Service's temporary shelters in Tacloban. 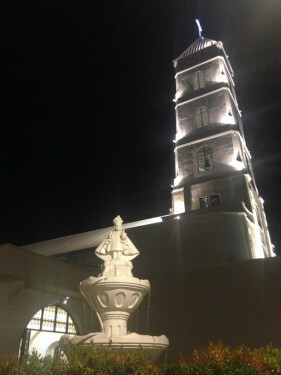 Santo Niño Church, Tacloban City, Leyte. 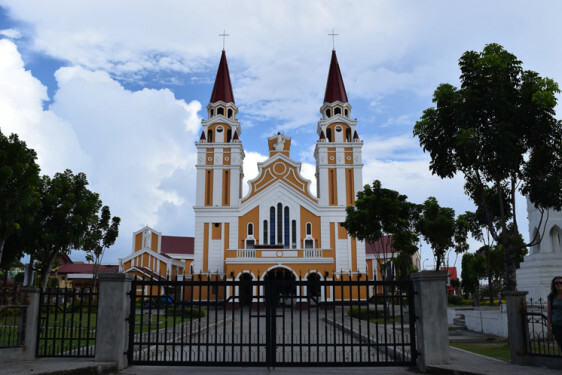 The church had to be repaired after Typhoon Haiyan blew away its roof in 2013. 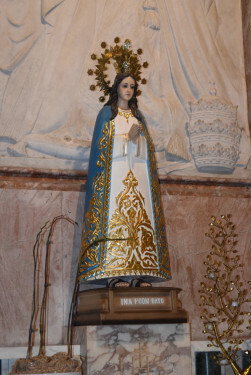 Mayor of Palo poses in her municipal office, which has an image of the Virgin Mary. 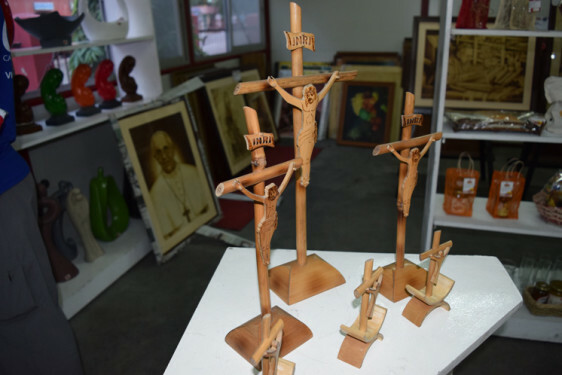 Products made by small entrepreneurs and sold by “Margins” a social enterprising program of Caritas Manila. The money the products yield helps the marginalized, which includes youth and victims of Typhoon Haiyan. 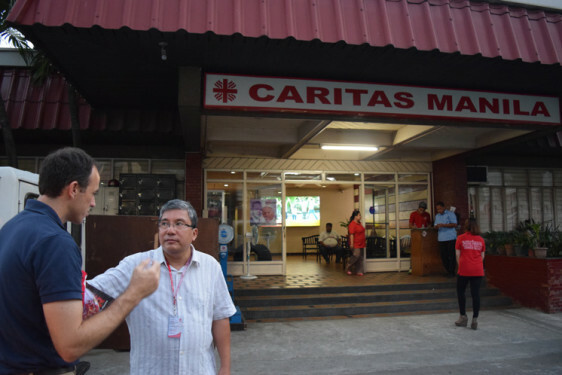 Father Anton Pascual, executive director of Caritas Manila, an organization that tries to serve the poor and vulnerable in the different ddioceses of the Philippines. 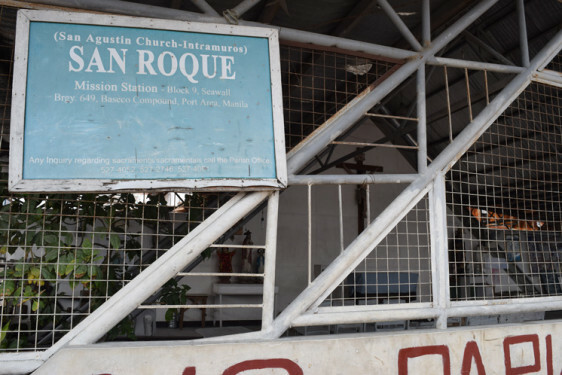 Chapel named after St. Rocco in Baseco (one of the biggest slums in Manila which houses 51,000 people). 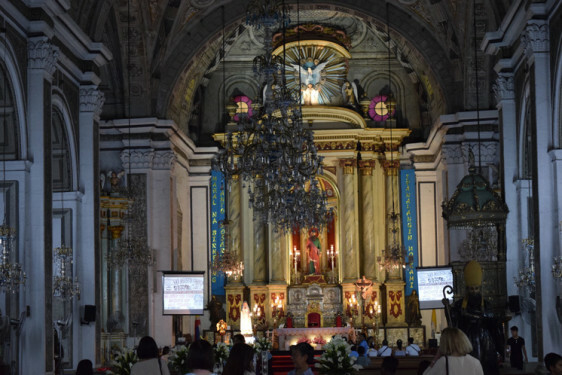 Metropolitan Cathedral in Manila, the Philippines. 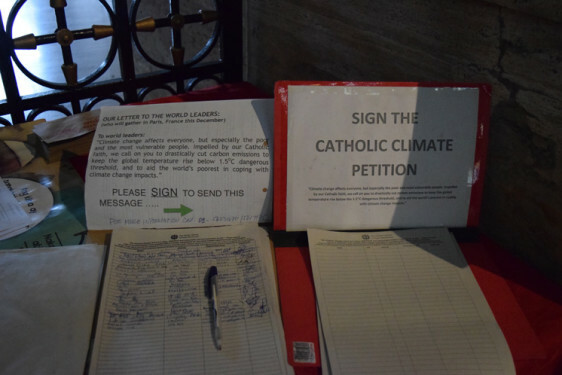 Photo shows a climate change petition propagated by the Filipino Bishop’s Conference that asks countries to keep temperatures under the 1.5C threshold – they are planning to send the petition to COP21 in Paris. 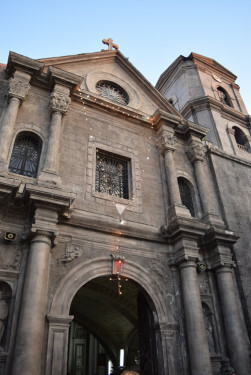 San Agustin Church in Intramuros, Manila.